The 'Deleter of Worlds' has recently dropped hints that he might be retiring soon. 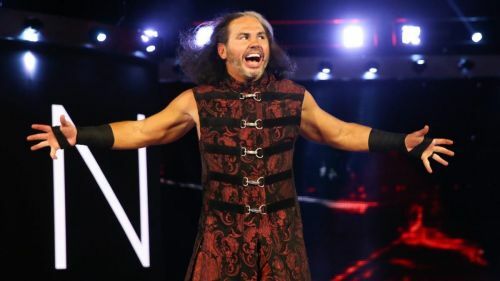 Matt Hardy has been teasing his retirement for some time now. It is hard to understand whether this is just a part of a storyline or if Hardy is really about to hang up his wrestling boots. But if this really is the end of the road, then Hardy should get a sendoff fit for a legend. He has achieved everything that there is to achieve in the squared circle and will be remembered by wrestling fans long after he is gone. Let us take this opportunity to look back at the greatest moments from the legendary career of 'The Broken One'. Matt Hardy won the ECW Championship at Unforgiven 2008. Some fans might point out that this was just WWE's version of the ECW Championship, but that does not change the fact that this was Matt Hardy's first world championship in pro wrestling. This felt like the culmination of a 16-year-long journey for the older Hardy brother. While this might not be the moment that you are reminded of whenever you think of Matt Hardy, but it surely was a huge personal moment for the man himself. To this day, this remains the only world championship that he has managed to capture under the WWE banner.